I'm swiftly getting tired of trying to think of clever titles to blog posts, and I think it's starting to show. 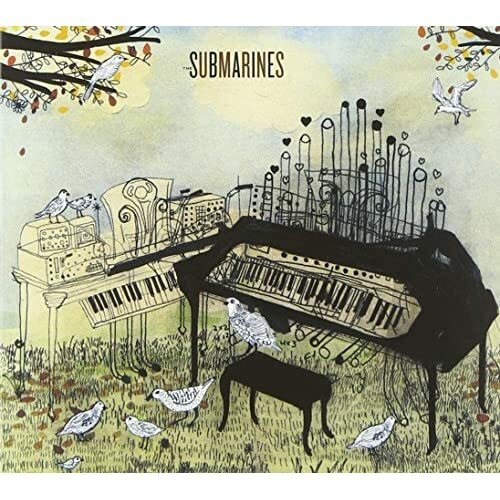 The name of the band I'm posting on is the Submarines. Get it? So very stupid, I know. And I apologize. But please don't hold my lack of creativity against the band. This guy/gal/lover duo pumps out some extremely beautiful pop tunes with delicate boy/girl vocals. Reminiscent of some of Stars gentle moments. This one's got a few twists and turns and a little bit of fuzz on the guitar, which gives it just enough fraying at the edges so as not to be too sweet. Give it a listen. The full album, Honeysuckle Weeks, is out on itunes now. And if you like this stuff, you'll be equally enamored by their debut, Declare A New State.